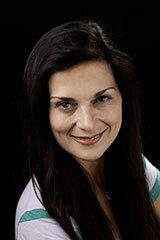 Our Dentist - Lafayette & San Leandro, CA Dental - Dr. Fatima Beheshti, D.D.S. Dr. Fatima Beheshti, D.D.S., is a native of Moraga and graduated from Campolindo High School and the USC School of Dentistry. She proudly serves patients from throughout the East Bay in the beautiful LaMorinda Dental office conveniently located just south of Hwy 24 on Moraga Road in Lafayette. Dr. Beheshti and her husband, Dr. Sassan Falsafi, MD, have two young children and live in Moraga. Dr. Beheshti is an avid runner and swimmer and also enjoys downhill skiing, hiking, tennis and cooking. Her competitive athletic endeavors include training for the Alcatraz Challenge, a 1.5-mile open water swim in San Francisco Bay followed by a 7-mile run. LaMorinda Dental offers a full line of comprehensive family and cosmetic dentistry services and Dr. Beheshti particularly enjoys making her patients feel comfortable and relaxed. "We strive to do our work in a safe, comfortable and relaxing environment," she explains. "Our patients really appreciate the extra care and personal touch we provide and always feel very relaxed and comfortable when they visit our office." Click here to schedule a new patient appointment and be prepared for a relaxing, enjoyable experience. Dr. Beheshti and her staff look forward to meeting you. Call today, (925) 299-9922.